'Old Doc Graves' Farm. This house is located .6 miles E of Trammel Ford on Route 265, then N 1000' in a field in the Adolphus Quad. It is a 2-bay, 1 1/2-story log pen with 1/2 dovetail notching. 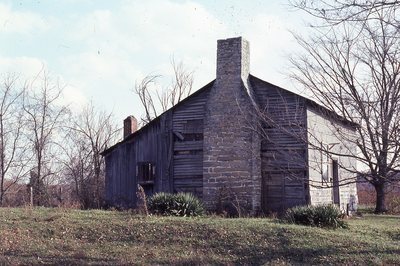 Built by Doctor Graves, it is one of the oldest homes in Allen County (remaining untouched and in perfect condition).